Anyhoo on to the art. 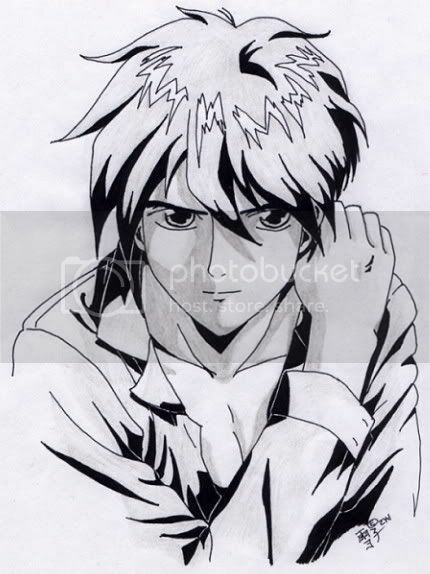 Anime style. From RGVeda. 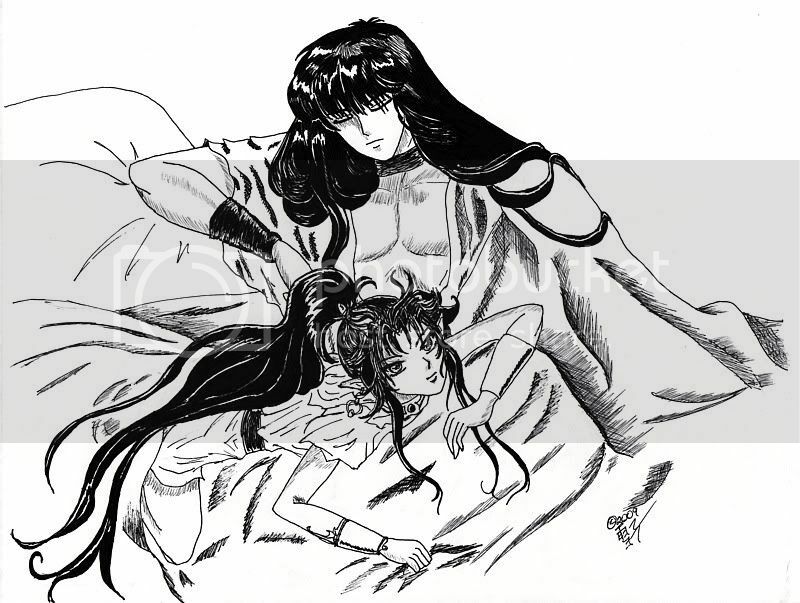 Ashura and Yasha. It was done as a Christmas exchange. 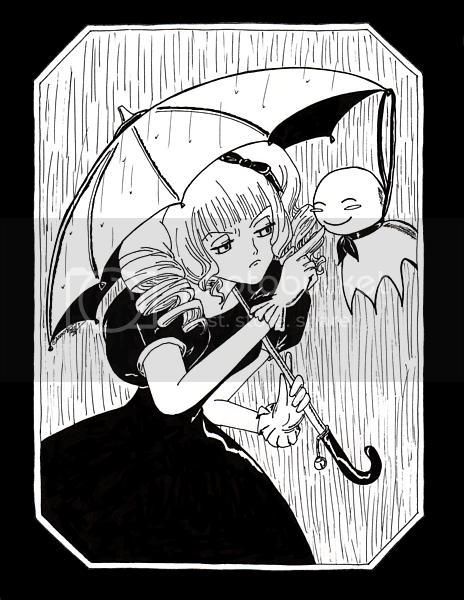 From xxxHolic. Amewarashi. 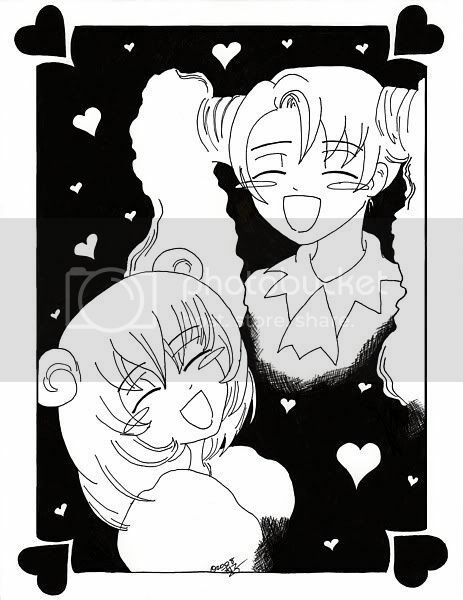 This is one of the drawings I did for the fanbook. 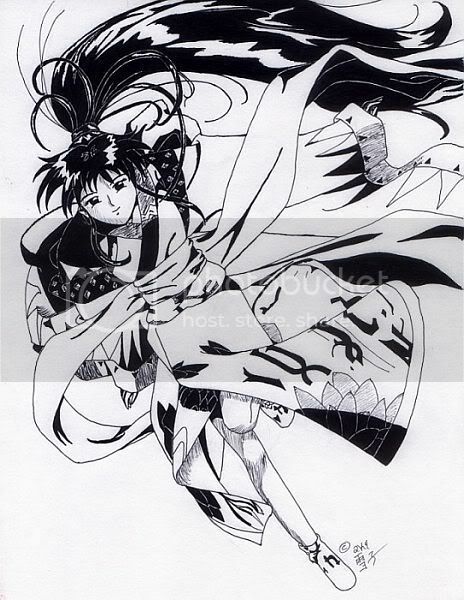 Also from xxxHolic. Maru and Moro. Another drawing for the fanbook. And I'll dig up more later XD Thank you for looking! It's clear to see that you are font of linework! Very beautiful, my favorite is the RG Veda one. Most of the time I do spend time doing fanart. I have a decent amount in original pieces I just have to dig it up.